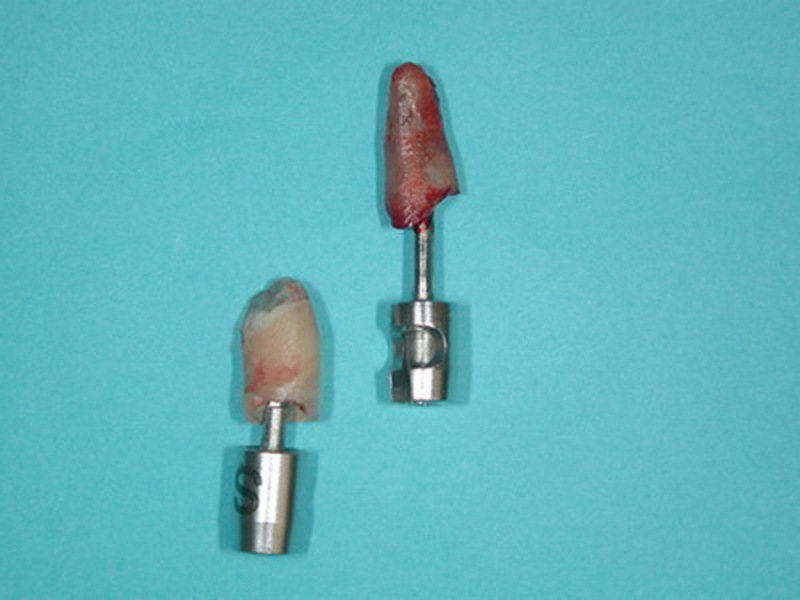 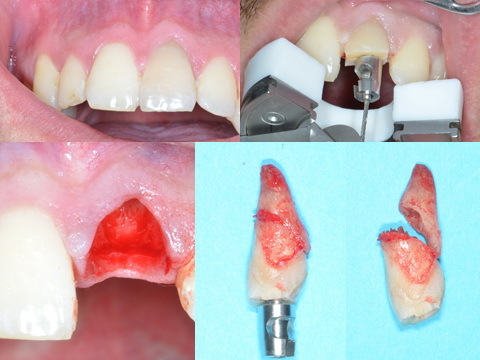 Drilling through the coronal fragment and fixing the screw in the apical fragment. 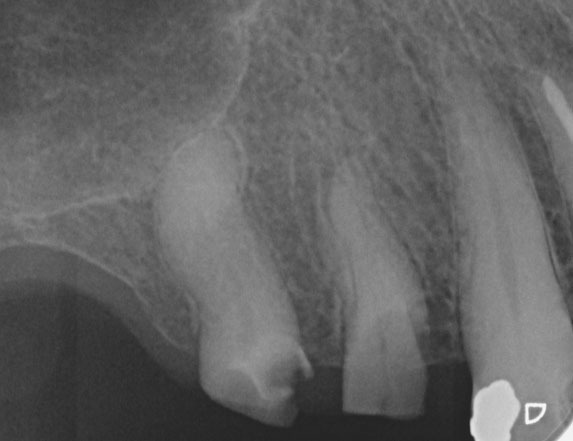 Curved roots or roots with “predetermined breaking point” (end of channel post height) can break during extraction. 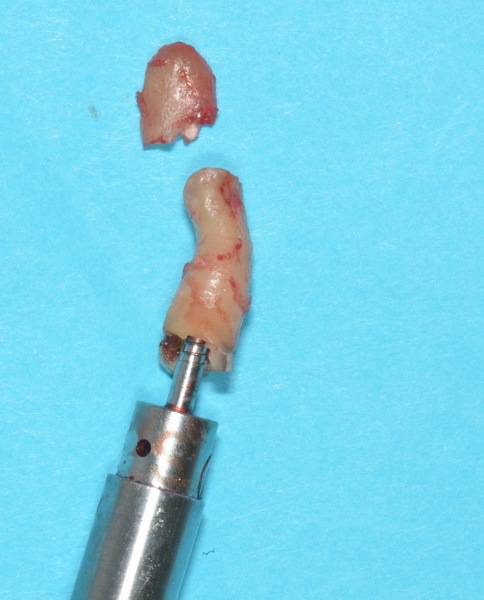 The apical fragment is removed with a second drilling/screw fixing.